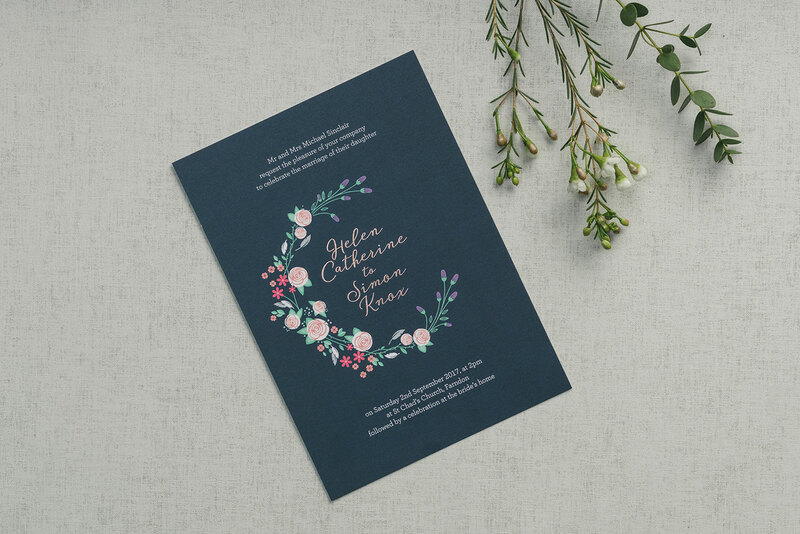 Wedding invitation wording can be as unique as you are. Whether you stick to the traditional or decide to get creative comes down to your personal style and the tone you would like for your big day. There’s no right or wrong way to write them, but there are several options to consider. We’ve put together this guide to help you find the wording that’s right for you. There are also some handy examples at the end that you could copy or tweak to suit your needs. If you’re still not sure, get in touch to book a complimentary consultation in our Chester showroom and we’ll work it out together. In days gone by, weddings were hosted and paid for by the bride’s parents. 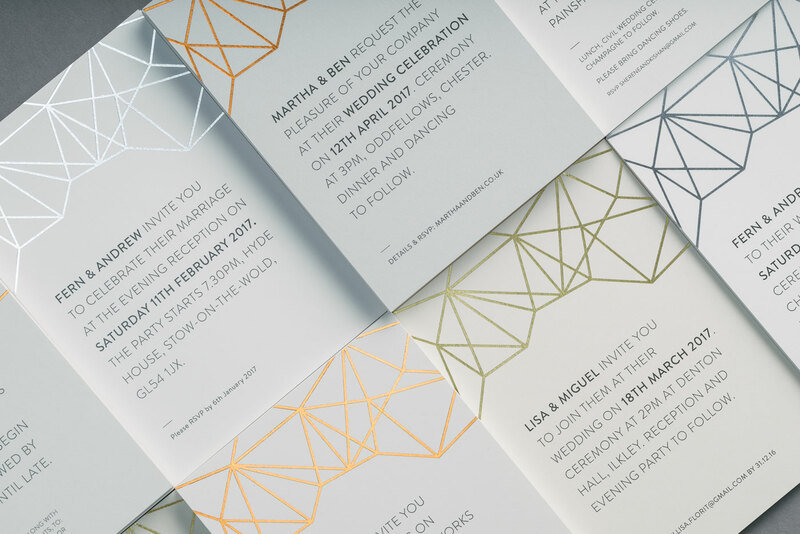 So, traditional wedding invitations are often worded “Mr. and Mrs. John Smith request the pleasure of your company to celebrate the marriage of their daughter’. 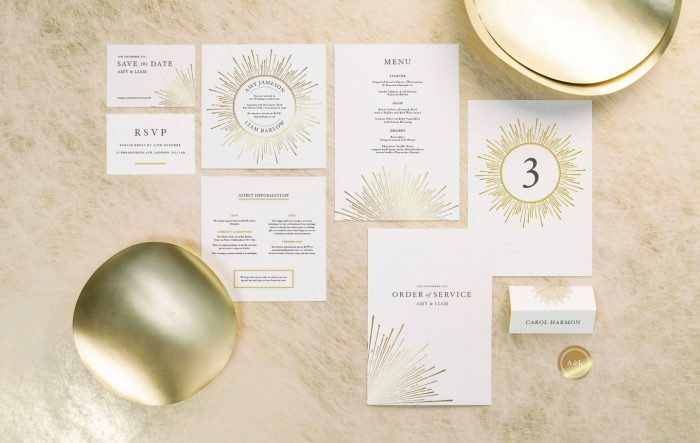 This style is ideal if you want your invitation to be formal. Of course, modern weddings aren’t necessarily going to be arranged in this way. Perhaps your big day is being paid for by both sets of parents, or you may have step parents to also acknowledge on the invitation. 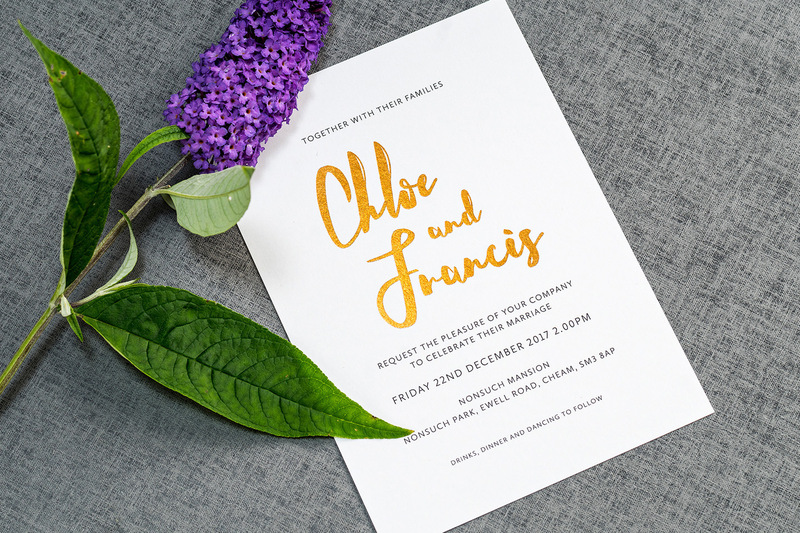 You could include each set of names at the top of the invitation, or keep it more general by using ‘Together with their families’, followed by your names. If you’re paying for the wedding yourselves, the invitation is likely to come from you as a couple. 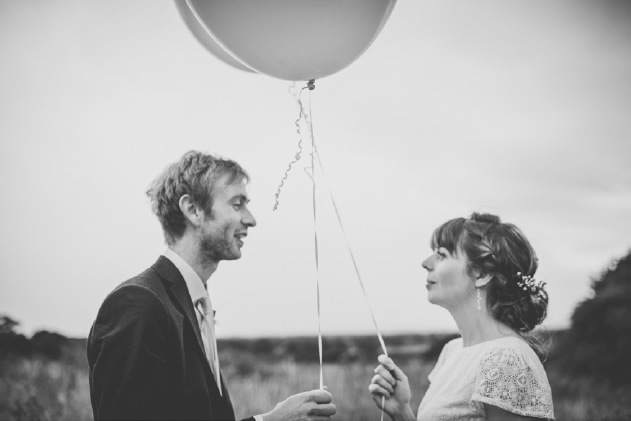 You could keep it simple with ‘David and Emma would like to invite you to join them…’. 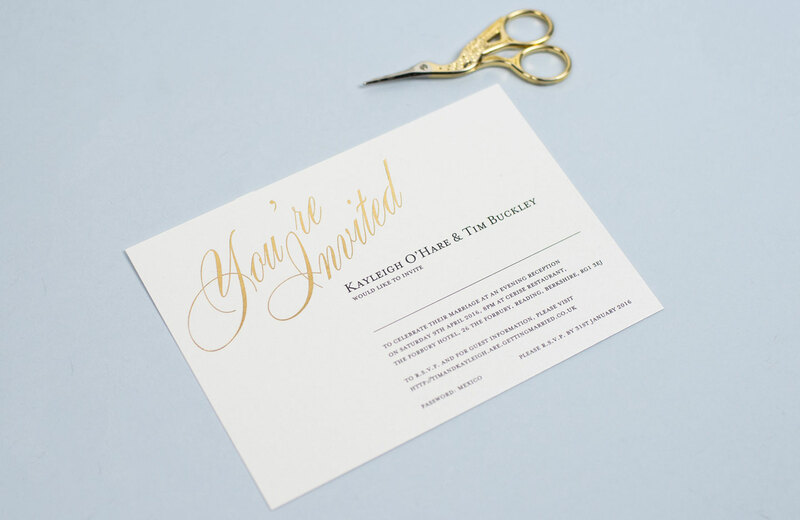 Wording your invitation this way can set the tone for a more informal and relaxed wedding day. How will you write your names? 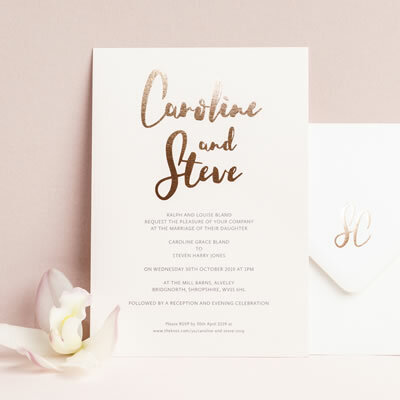 Your names will be on the wedding invitation somewhere, but there are a few choices to be made about how they are displayed. 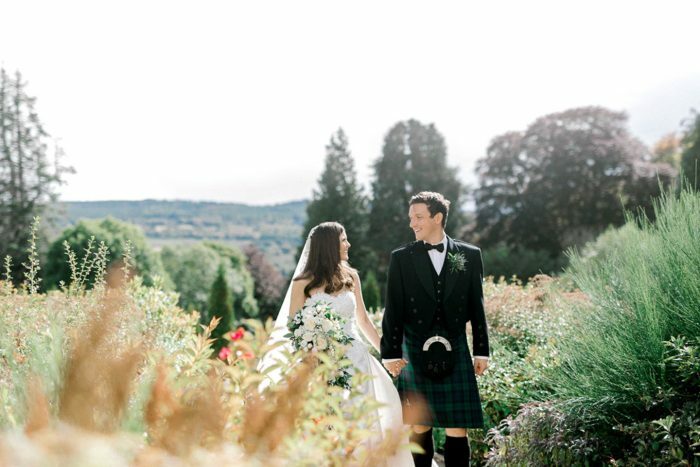 Traditionally, the bride’s name comes first without her surname, followed the groom’s full name. However, if there are two brides or two grooms you will need to decide whose name should be first. Perhaps alphabetical order will work for you? Also, think about whether you want to include both your full names or keep it informal with just first names. Some couples make their names the feature of the invitation, which can look very effective when printed in foil. There are many ways of wording the part that makes it clear this is an invitation. If you’ve chosen a more formal tone, something like ‘request the honour of your presence’, or ‘request the pleasure of your company’ may be suitable phrasing. Alternatively, keep it simple with ‘invite you to our wedding’, or ‘would be delighted if you could join us’. 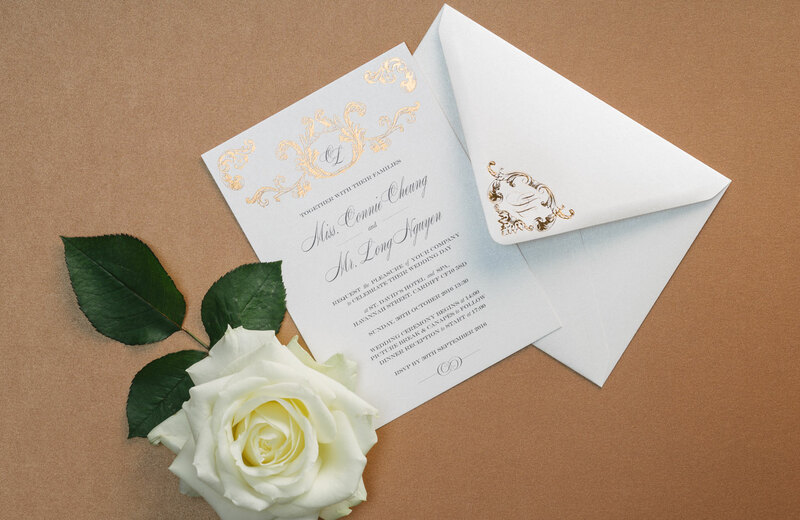 Whether to include the names of your guests on the wedding invitation or not is a hot topic. If you do, you will need to decide whether to write their full names, first names or even nicknames. You’ll also need to consider how to present them. Many people include a line where they can hand-write the name. 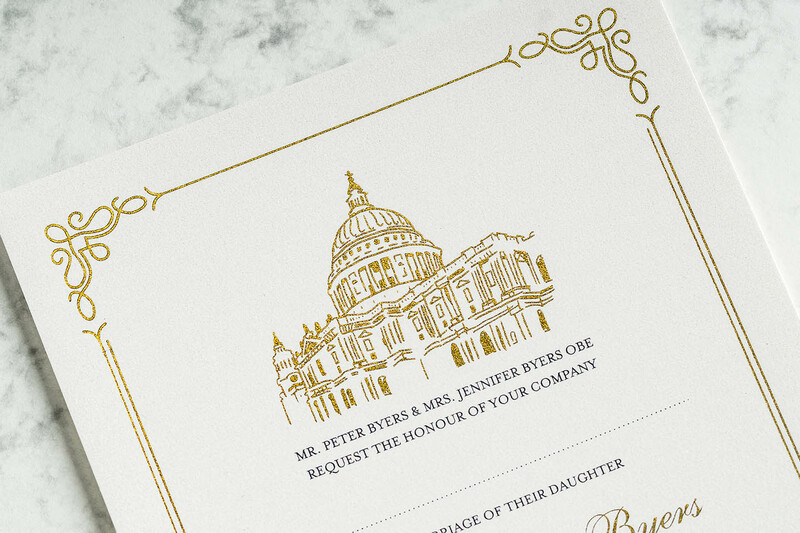 However, this can take away from the invitation design and, let’s face it, not everyone likes their own handwriting. We can provide a calligraphy service to get around this if you would like to include guests names. 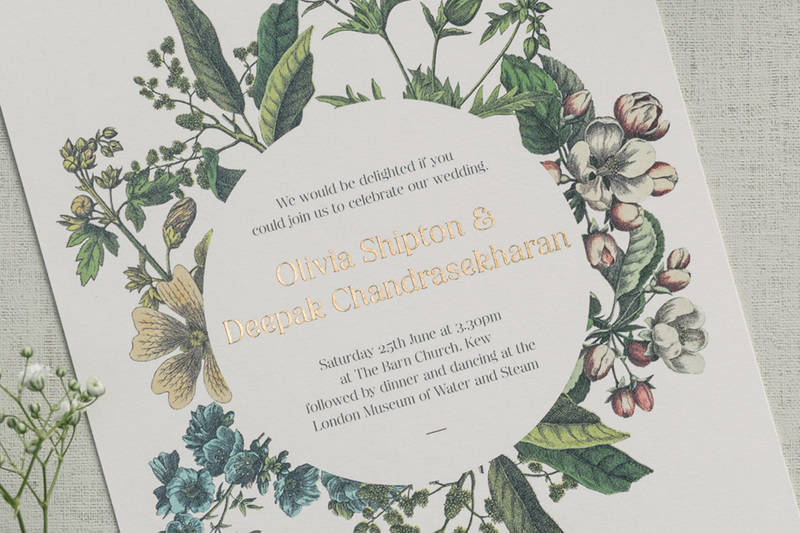 Many people choose not to include guests names on the invitation itself, so as not to detract from the design. If you decide this is the option for you, it’s important that the envelope makes it clear exactly who is invited, especially if you’re having a ‘no children’ policy. What are you inviting your guests to exactly? Are you planning a traditional church wedding, or is it going to be a quick service with a focus on the party? 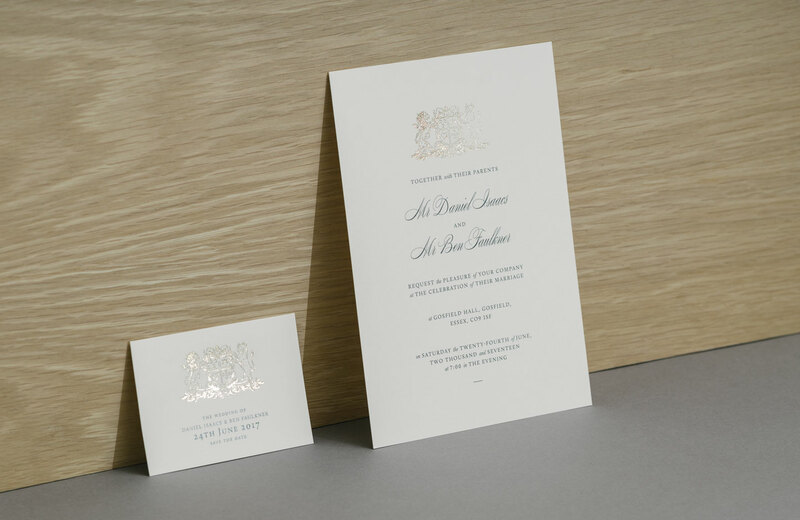 A traditional invitation is likely to read something like ‘the marriage of their daughter’, or ‘the celebration of their marriage’ depending on the hosts. You could call it ‘wedding celebration’, ‘exchange of marriage vows’ or even go informal with ‘tying the knot’. Formal Wedding Breakfast or a Knee’s Up Party? It’s a good idea to let guests have a hint of what to expect on the day, so they can prepare. 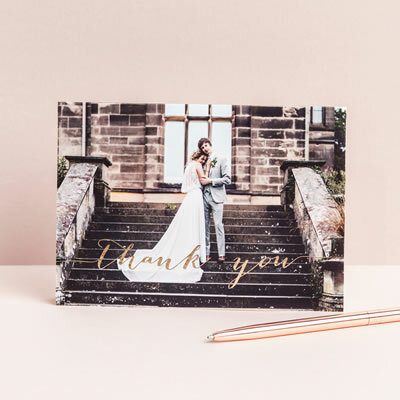 The wording could include something like ‘followed by a wedding breakfast and evening reception’ or ‘followed by a dinner reception and dancing’, depending on the type of wedding you’re planning. If you won’t be serving food, you can imply this on the invitation by specifying that it will be ‘followed by drinks and dancing’. Plus, if you have a dress code, it’s helpful to make this clear. 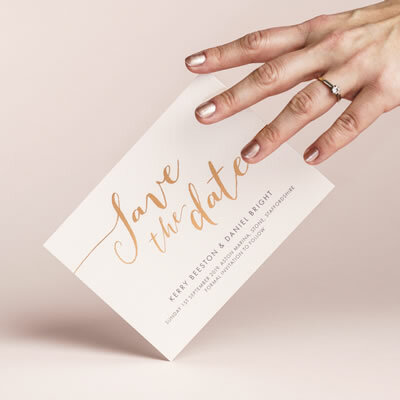 The invitation will usually include the time, date and location of the wedding. 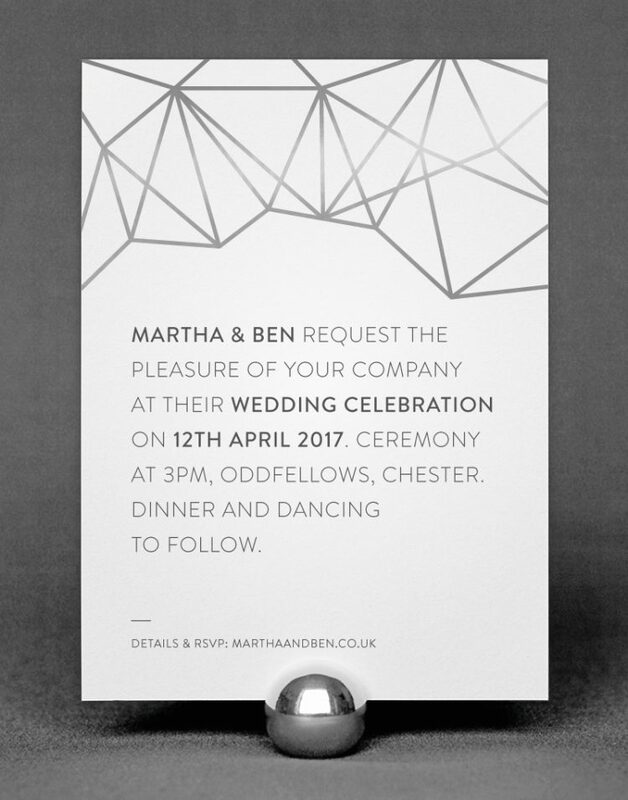 A separate information card can give your guests the finer details of the day. People often decide not to invite children to their wedding for reasons that could be a matter of cost or personal choice. It can be a delicate subject to get right on your invitation. A carefully phrased note like “Regrettably, children are unable to attend – we hope you understand.”, or “Our wedding will be a child-free occasion – we hope you can still come and enjoy a night off.” makes it clear to your guests, while remaining sensitive to their feelings. would love you to join them at their marriage celebration on DATE. 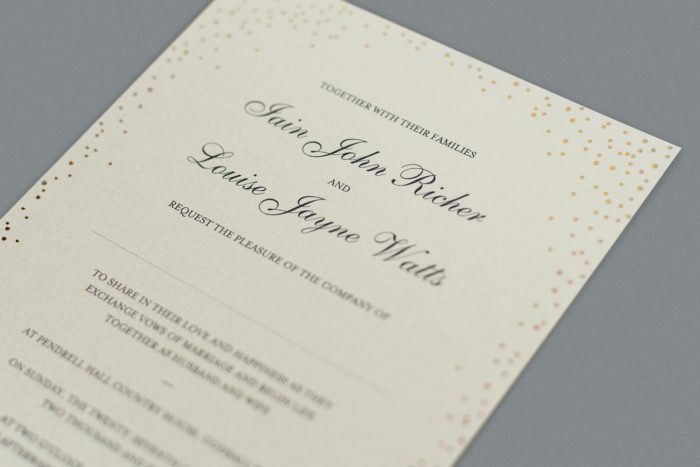 Still unsure of how to choose your perfect wedding invitation wording? We’re here to help. 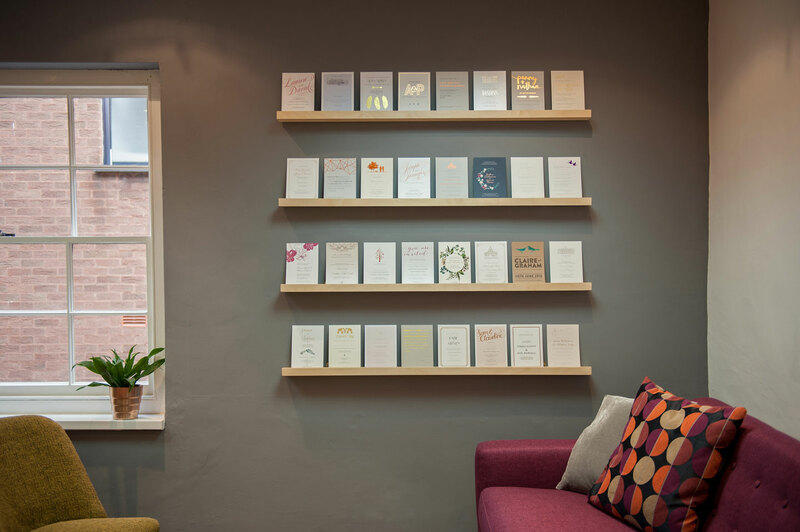 Book a free consultation in our Chester studio and we can discuss the design and wording that will be right for you. Thank you for visiting our blog. 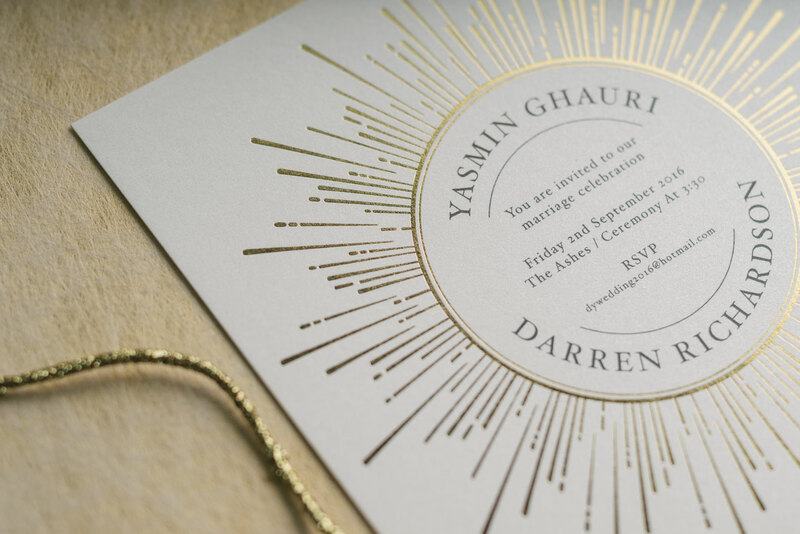 Here you can explore the wider world of The Foil Invite Company, learn more about our stationery and the couples we work with. 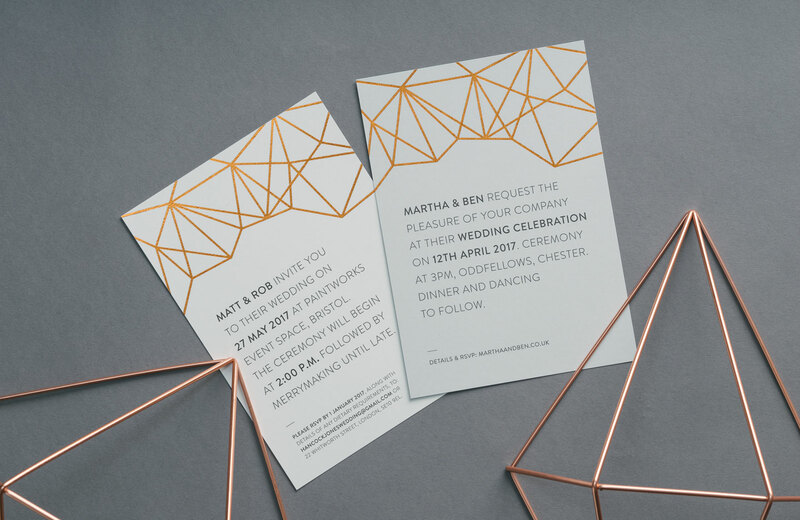 Find out more about Wendy, Matt and The Foil Invite Co.